More 2 Life is a radio program that brings the Theology of the Body teachings of John Paul II into the practical, everyday experience of life. 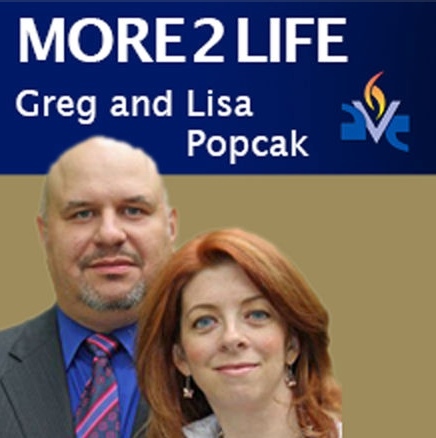 Dr. Greg and Lisa will help you solve your problems with relevant, relatable and achievable tools and solutions straight from the genius of the Theology of the Body. It is the life you were meant to live! If you would like to make a tele-counseling appointment with Dr. Greg or one of his associates, call 740-266-6461. To purchase Dr. Greg's books, please visit this link to his online store. More 2 Life - 4/10/19 - Everybody Wants A Piece of Me!